Hello, everyone...thanks for coming back for part 2 of my visit to Vlinderhof. 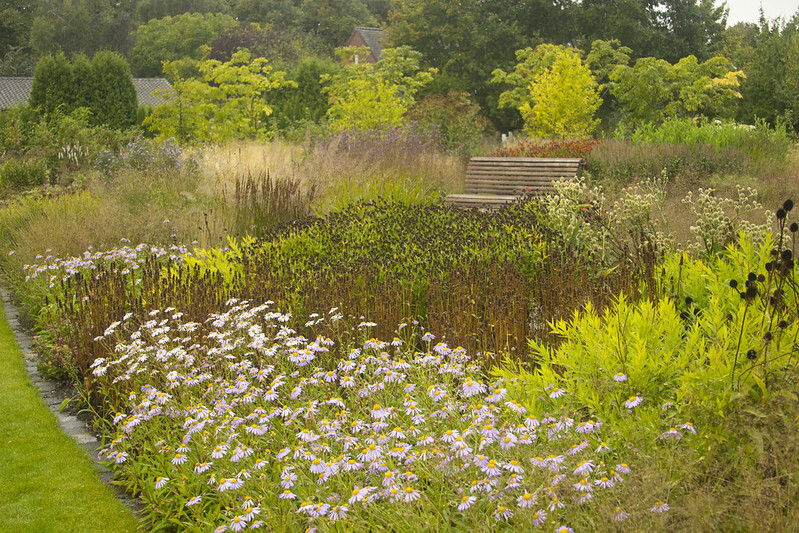 Since my first post covered the history/creation of the garden, today, I thought I'd just share my thoughts on the garden. 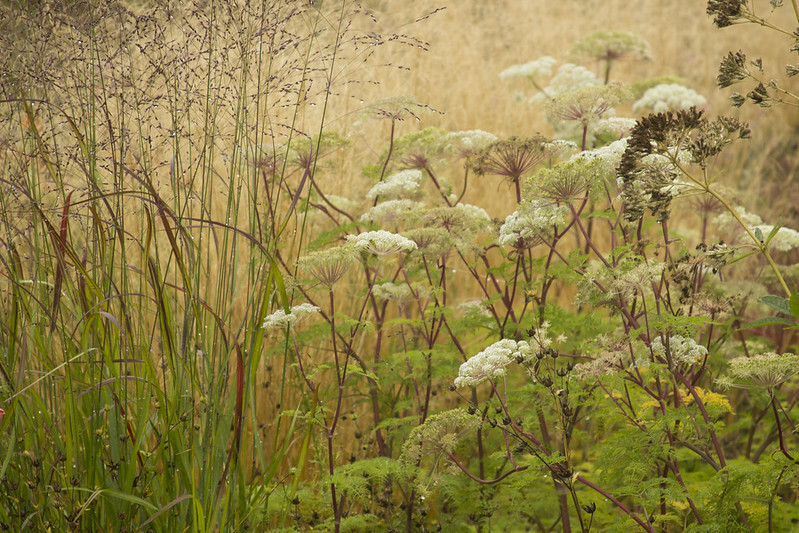 The thing that really sticks out in my mind about Vlinderhof is the amazing atmosphere of the place...rich and intriguing...the planting composition shifts continuously as you move through the borders. Every plant feels like it's in just the right spot...and each plant is allowed to shine...but it doesn't feel forced. There is a sense that everything simply fell into place like a jigsaw puzzle. 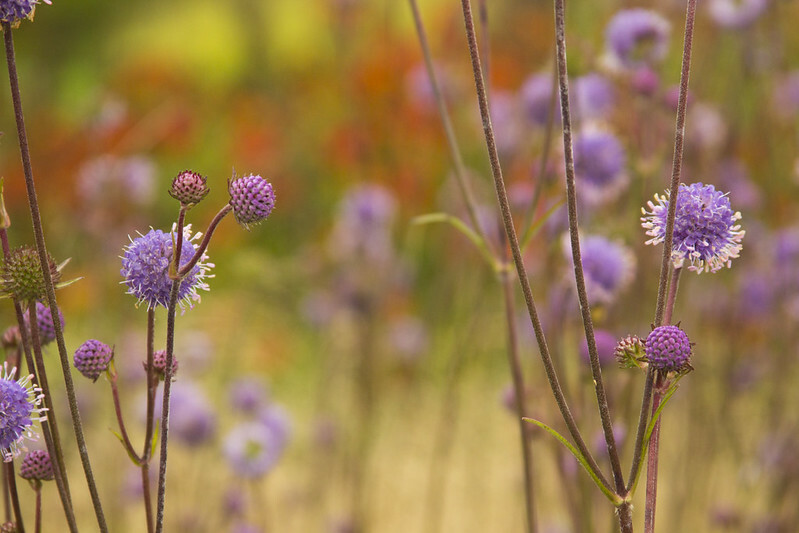 The beauty of the garden is how everything works together. As I mentioned in my previous post, this is a space where the whole is definitely greater than the sum of it's parts. 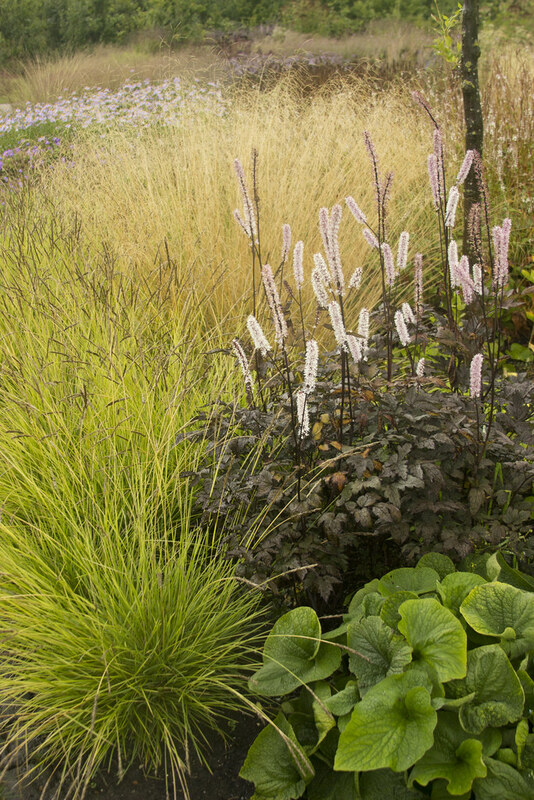 Each plant supports and enhances it's bedmates. 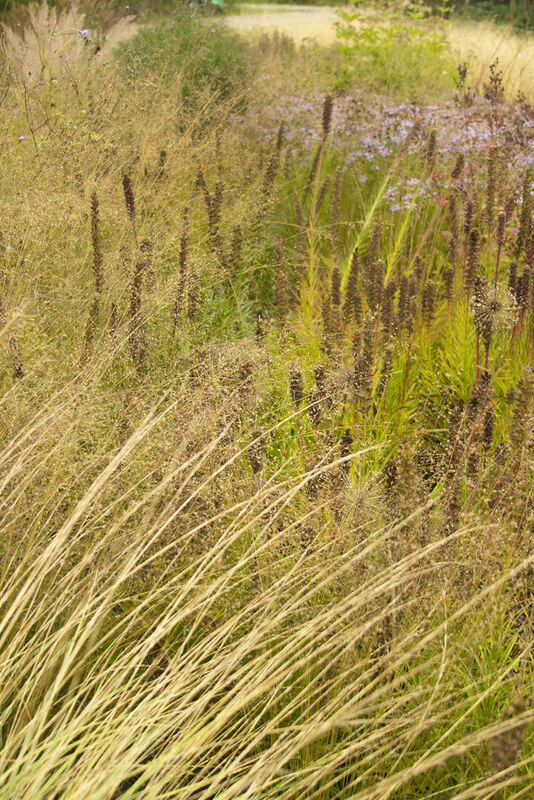 Drifts of plants coalesce in and around each other in shifting, dynamic patterns. 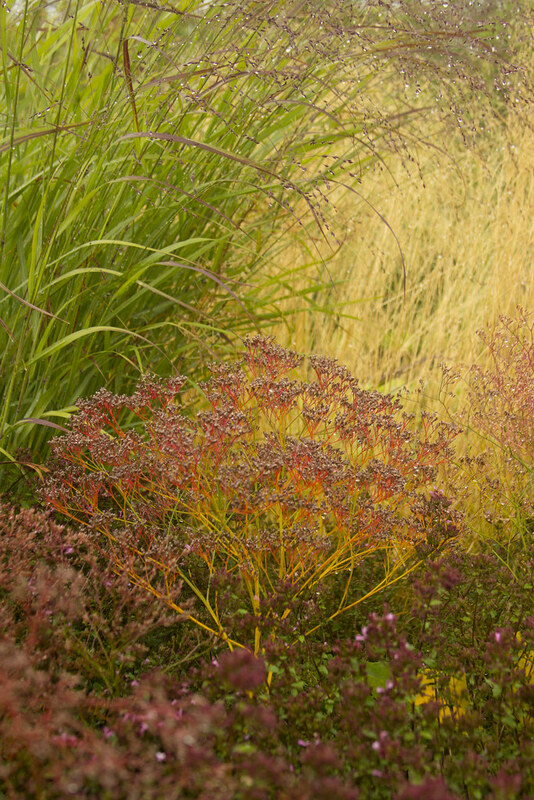 The garden is built on layers of contrasting and supporting shapes, colors and textures. 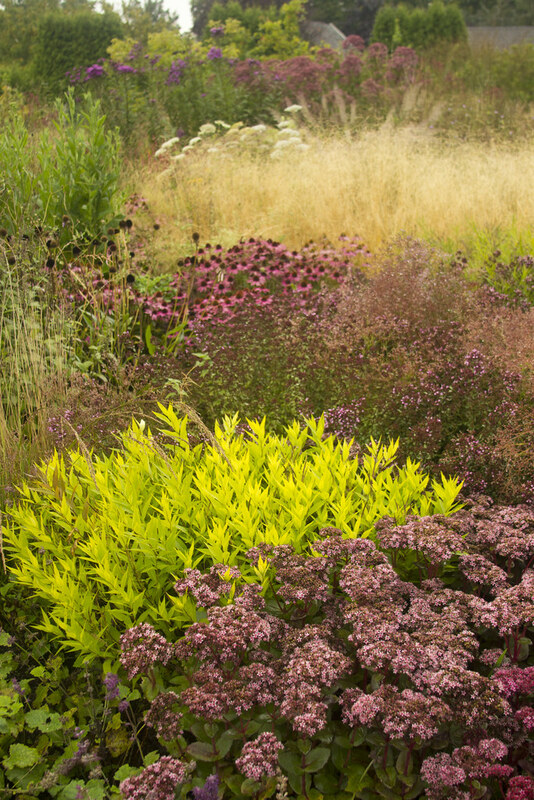 At times, the richly varied planting seems to evoke a rich quilt...or a vibrant tapestry. 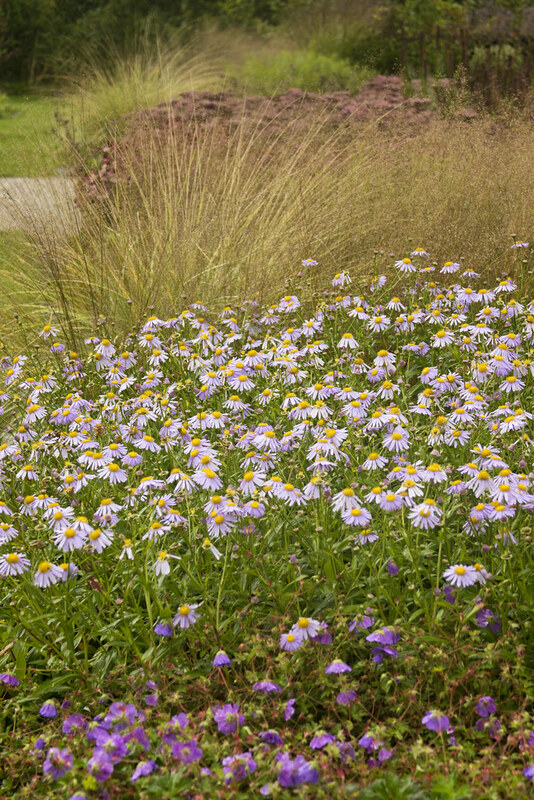 Brightly-colored flowers emerge from swirling eddies of grasses. 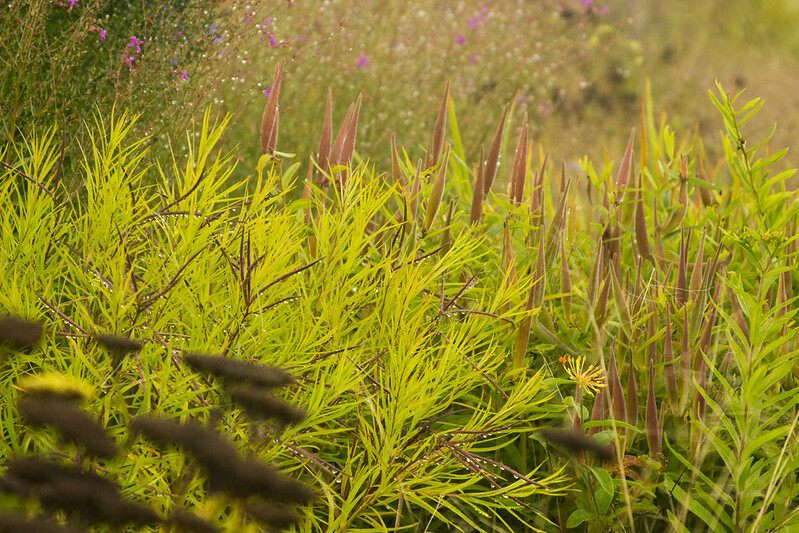 A hallhark of Oudolf-designed gardens...seedheads are prominently displayed...as in these richly-hued Asclepias seed pods. 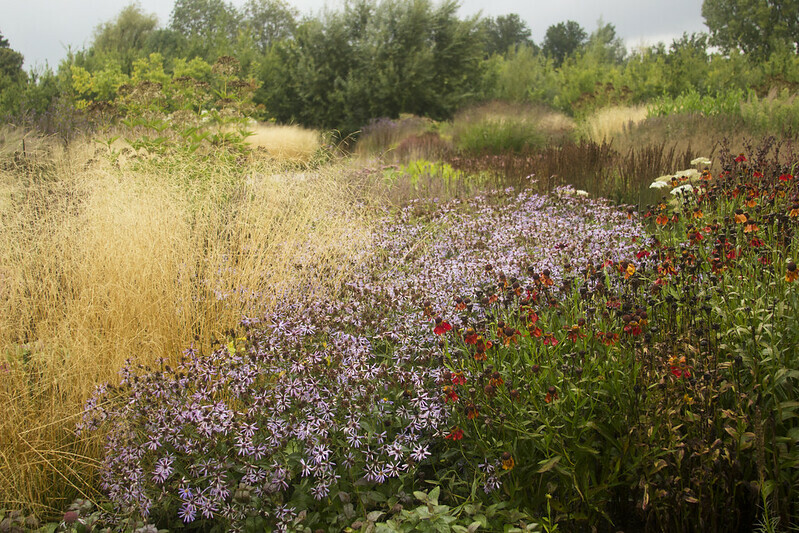 While the garden is richly-planted with many choice plants, it never feels like an overstuffed curiou cabinet. This isn't a stage for divas each battling for attention, but rather for an ensemble cast, where each member's qualities serve to strenghten it's stage-mates. 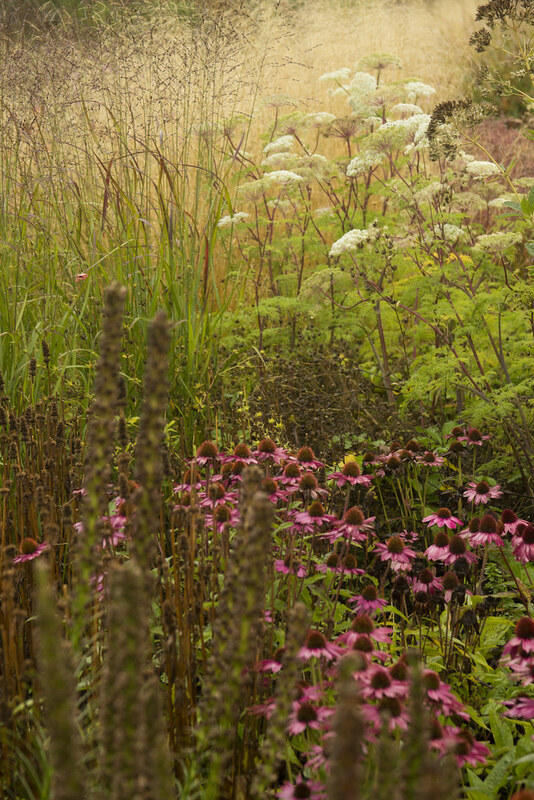 This eruption of Calamagrostis would look amazing even without the dark knobs of Echinacea in the foreground...but together, they are magic. The same can be said of this Cimicifuga. Alone, it is lovely...paired with the felted green leaves in the foreground...even more appealing. 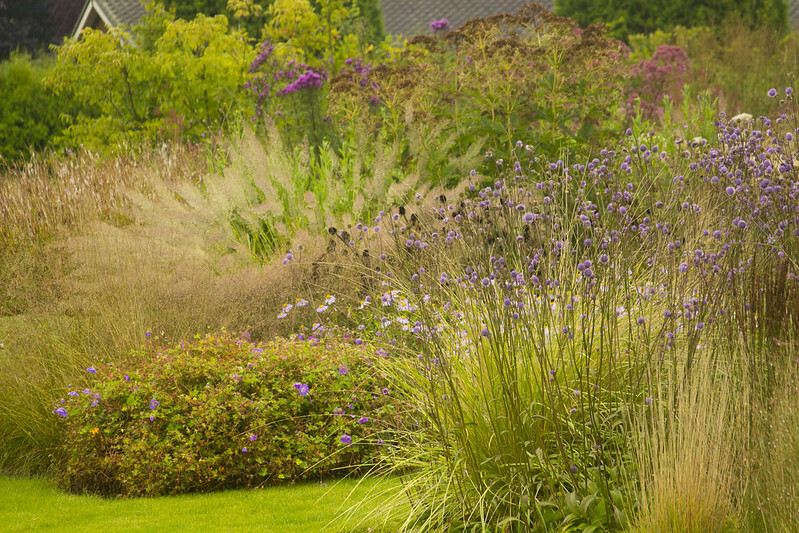 Framed by the effervescent scrim of Deschampsia and Sesleria, it's unforgettable. 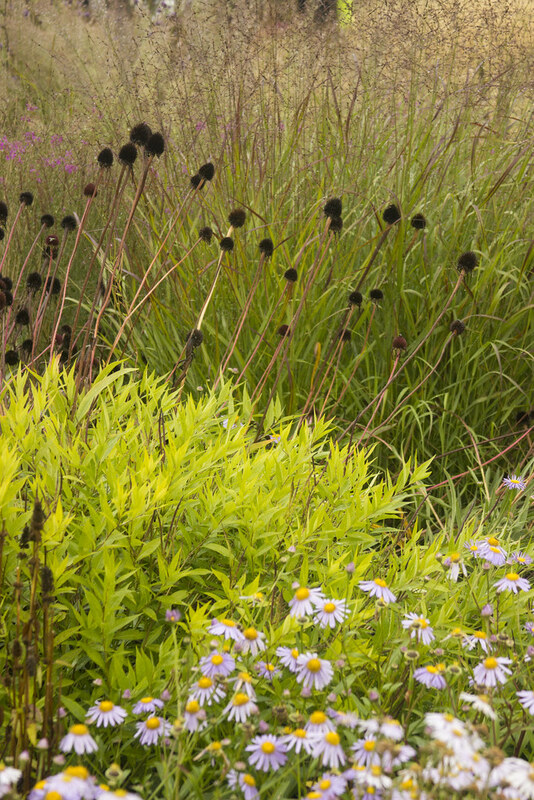 There are so many lessons in how to use these plants to their best effect...these Echinacea and Eryngiums need a light background to show off their strong forms and colors. 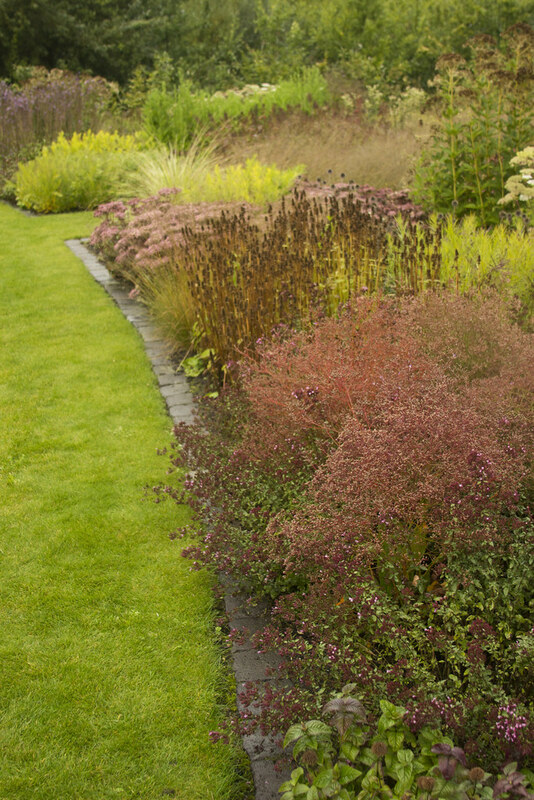 This Limonium would be far less dramatic were it not bracketed by the varied golden hues of Amsonia and Deschampsia. 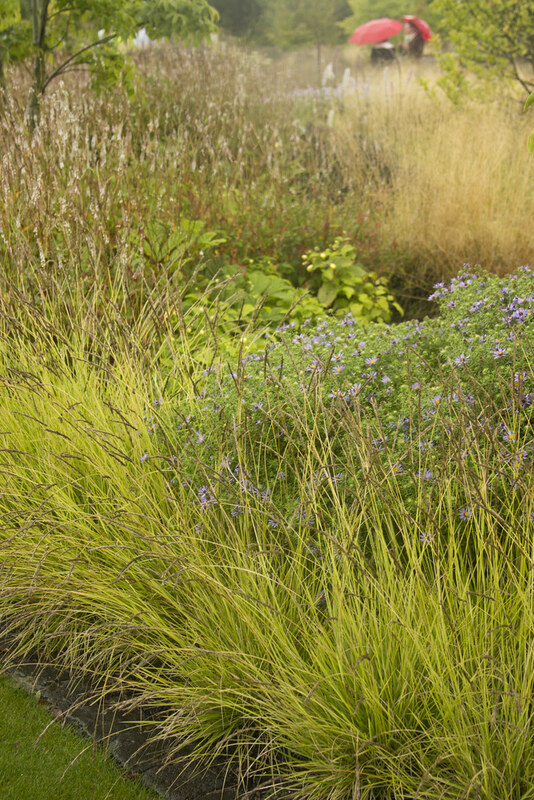 Variety is the spice of life, of course, and here another Limonium...with different bedfellows. 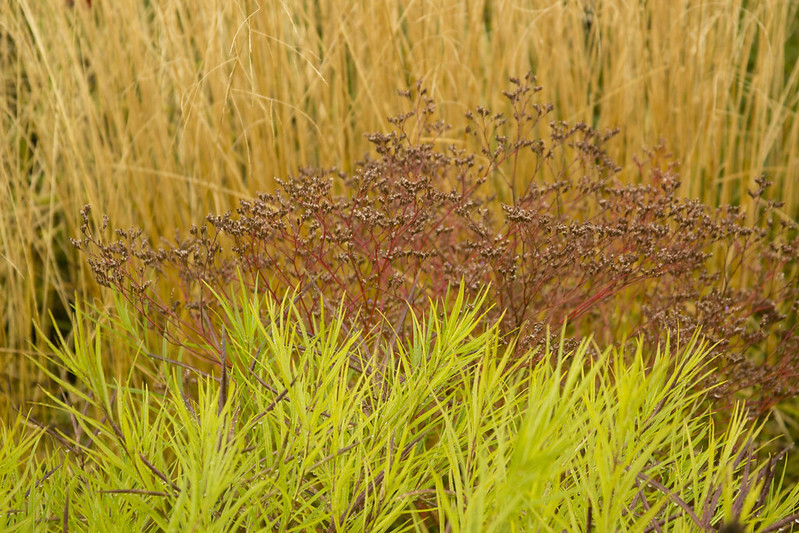 Panicums and Origanums this time frame warm, ombre-tinged stems of the Limonium. 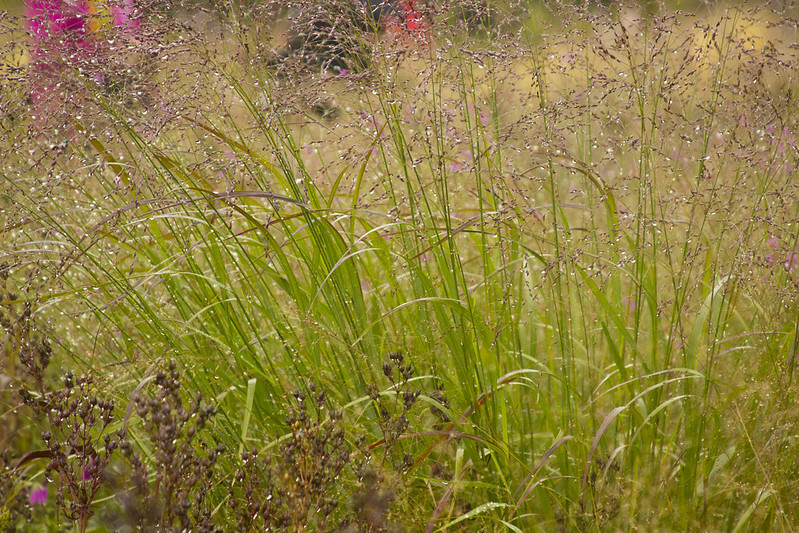 The straw-colored backdrop of Deschampsia once again plays foil to dark-colored neighbors. 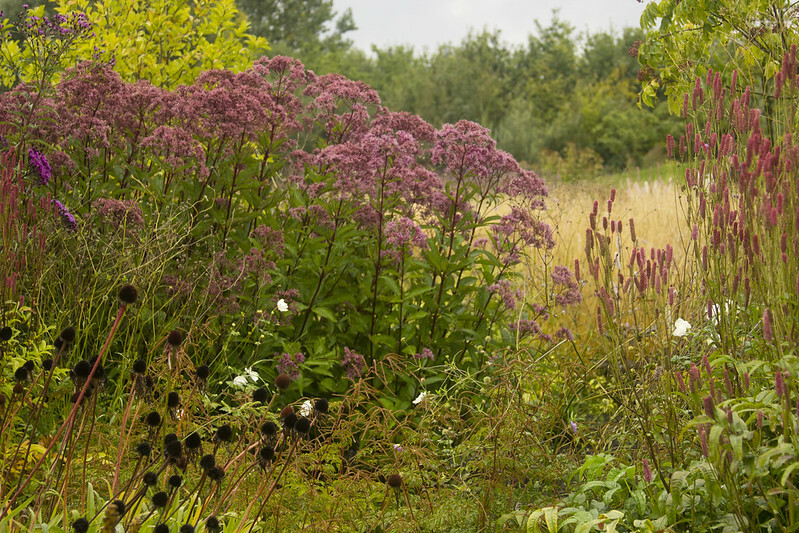 The ruddy, sinuous branches of the Selinum would be far less effective without the Deshcampsia behind. 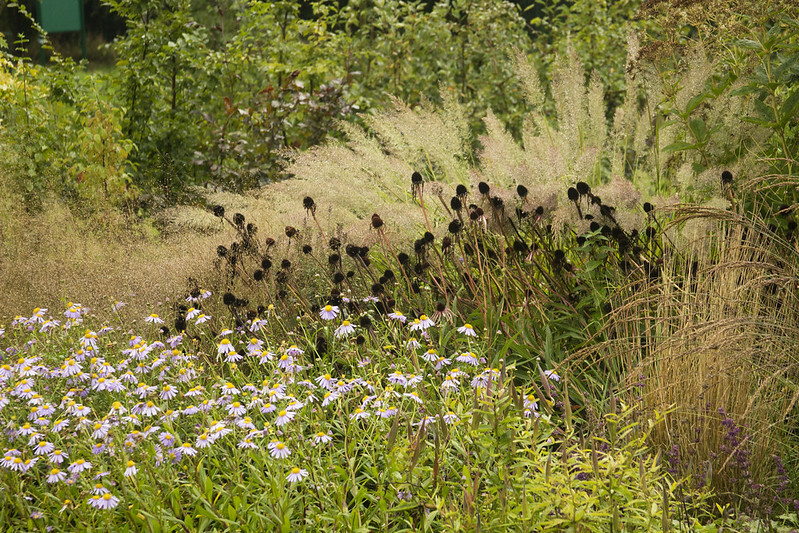 Pull back further and you have even more complexity, with the colors of the Echinacea echoing the Panicum and the Selinum. 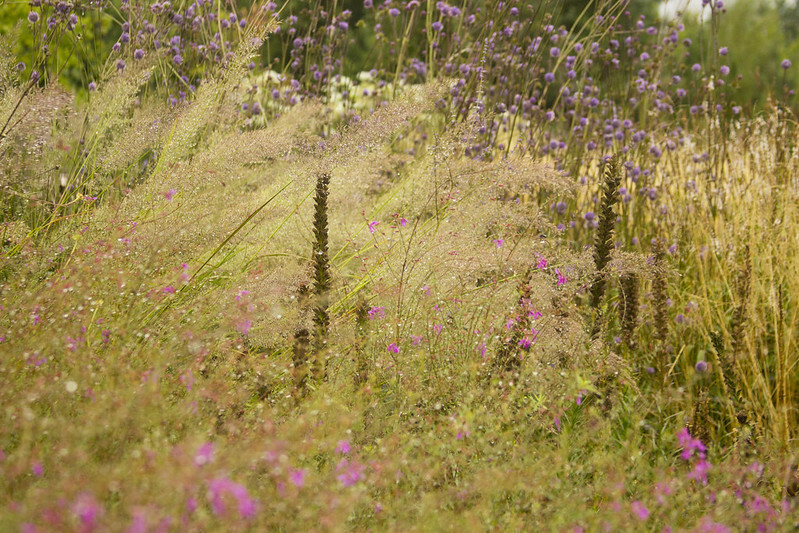 As beautiful and striking as Liatris are on their own...how much better are they when rising out of a miasma of grasses? All in all, my visit to Vlinderhof was completely inspirational...I feel like even now, looking through photos of it, I'm gleaning more inspiration from it. 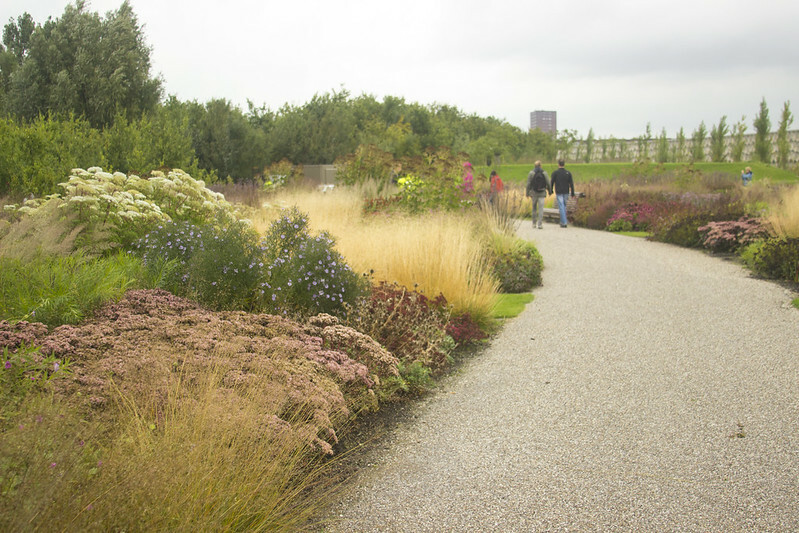 At turns playful and somber, it's an amazing garden, one which I would recommend to anyone who is visiting the area. 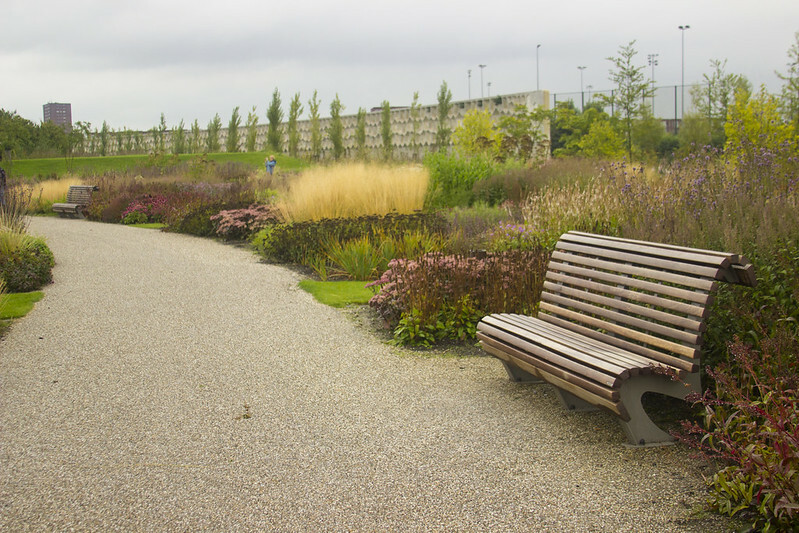 And so we come to the end of my first day in The Netherlands...our next visit will take us to Priona Tuinen, famed garden of Henk Gerritsen. 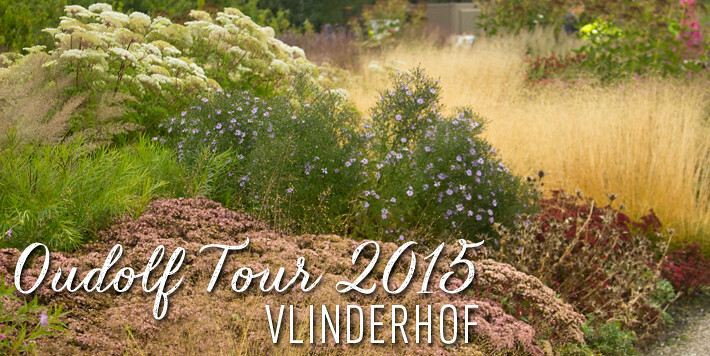 Also, before I leave you for today, I have to mention that Carolyn Mullet and Carex Tours are returning to The Netherlands & Germany again this year (among their list of tour offerenings)...if you are interested, head on over to their website...I heartily recommend it!